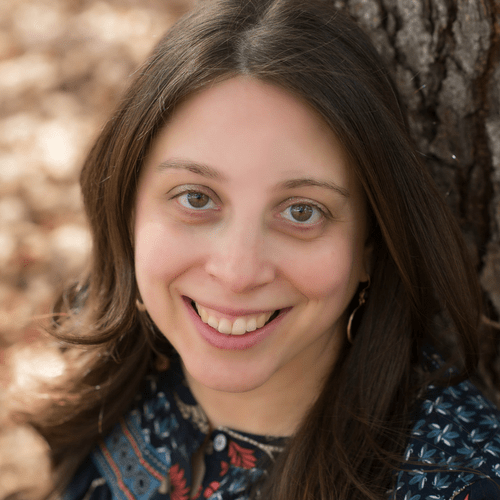 Melissa Sarno joins us today for the cover reveal of her brand new middle grade book, Just Under the Clouds! Watch the video below, then keep reading to learn more about the inspiration behind the story. What inspired the story you wrote about in JUST UNDER THE CLOUDS? Melissa: A few ideas came together to inspire Just Under the Clouds. At the time I wrote the book, I lived on the waterfront in Brooklyn. I had a long walk to the subway and I was always interested in all of the beautiful trees lining the streets. When people think of New York City they probably don’t think of nature, but I was always attuned to it, enjoying all the community gardens, walking trails in Prospect Park, and even canoeing along the very polluted Gowanus Canal. I thought I wanted to write a story about kids climbing trees in Brooklyn, but it slowly evolved into a story about a homeless girl searching for a sense of home. Growing things have places where they thrive, even when conditions aren’t the best, and trees are sturdy and permanent. I wanted to write about a girl looking for that kind of stability and explore what it means to grow and thrive when you’re being yanked from place to place. What was your favorite (spoiler-free!) scene to write? Melissa: One of my favorite scenes to write was a scene in the schoolyard between my main character, Cora, and her new friend, Sabina. Cora has been uprooted, once again, moving from a homeless shelter to live with an old friend of her mother’s. And Sabina has lived on a traveling houseboat and been homeschooled all her life until she goes to Cora’s school. They are both shy to confess that their circumstances haven’t made it easy to make and keep friends. They finally do confess while on their backs looking at the clouds. The moment their friendship gets to a new level, that magical feeling of ‘me too’, was fun to write. You write about tough situations in this book—homelessness key among them. What was the most difficult part of creating this story? Melissa: When writing the book, it was very important for me to listen to Cora and her story, to have her tell it in a way that felt authentic and true. There are some difficult situations in her life but I didn’t want them to define her or turn her story into an ‘issue’ book. I knew this couldn’t be the story of every homeless child—it is specifically Cora’s story and her search for understanding. It’s funny to say I had to learn to trust a voice that I technically created, but I did feel like I needed to listen to her and not give in to easy stereotypes surrounding her circumstances. Is there a book from your childhood that you would say heavily influenced JUST UNDER THE CLOUDS? Melissa: As a young reader, I was a big fan of Cynthia Voigt’s books. I especially loved Dicey in Dicey’s Song and Homecoming. There’s a sense of longing and hopefulness in Dicey’s voice that I have always been attracted to as a reader and writer. When I sit down to write, I’d like to think that a similar sensibility comes through. Melissa: Having lived where Just Under the Clouds takes place, almost all the settings in the book are based on real-life places. I stopped every day at a shop like Miss Li’s grocery (owned by an actual Miss Li). I crossed over the 9th street bridge to find the houseboats and hidden spaces along the Gowanus canal. I even knew a skittish charcoal-colored cat who vanished one day behind a chain-linked fence. Brooklyn is just as much fun for me to explore as it is for Cora in the book. Thanks for sharing Just Under The Clouds with us! 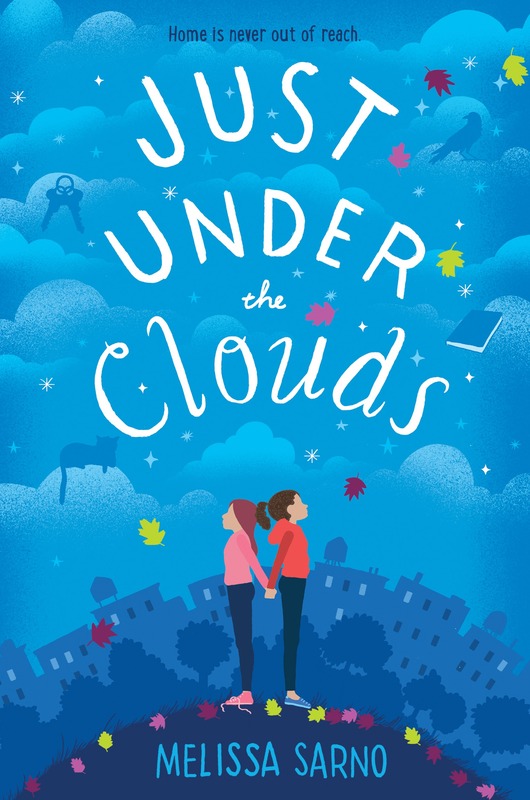 Just Under the Clouds will be on sale from Knopf Books for Young Readers beginning June 5, 2018. Beautiful cover, Melissa! Congratulations, and I canmt wait for the book! Oh, I can’t wait to read this!